Applications for the 2019-2020 CART Fellowship Program are now open! 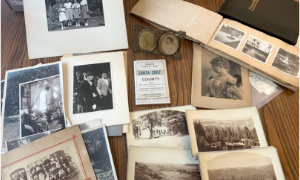 Learn more about the Center for Archival Research and Training by attending the next meeting of CART Commons on Friday April 5th, 3-5pm, and visit our website for more information. Contact CART Archivist Alix Norton at alix.norton@ucsc.edu with any questions and to submit your application. The application deadline is Friday, May 10th.